Welcome to this unofficial source of fan-made material for the Witch Hunter roleplaying game, published by Paradigm Concepts, Inc. 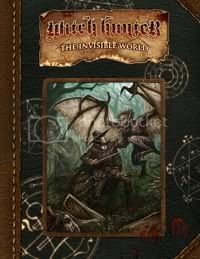 The purpose of this site is to offer a central location where new material for Witch Hunter can be gathered. Please be very clear that the information on this wiki is all unofficial and fan-made; it is for home-play use only and not for use in the Dark Providence campaign. This site is new, so there's going to be a lot of construction and changes going on. Please check back often as we get this wiki up and going. Get a free Wikidot account. Click on Join this site.